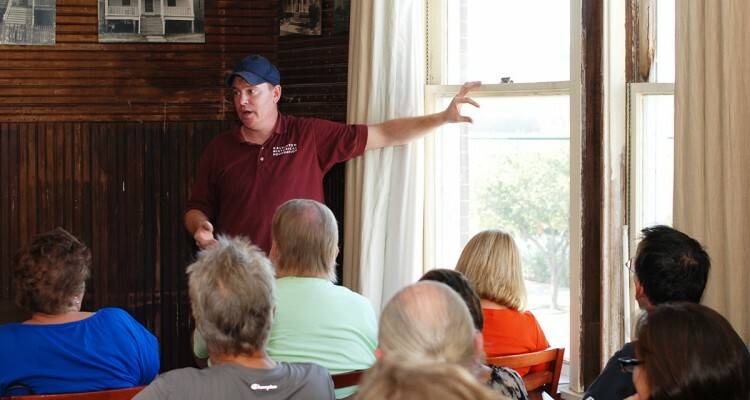 It’s one of the best ways to preserve a historic building’s character, and on November 15th, Galveston Historical Foundation and Gary Cernoch will teach you how to preserve your home’s windows. The class will be held at GHF’s 1940 Sears Building, 2228 Broadway, beginning at 10 a.m. Reservations are $12 for GHF members and $15 for the public and can be made here. As owner of G. W. Cernoch Works, Gary completes both custom historic rehabilitation projects and also produces new replacement doors and windows for new construction. Gary will discuss the importance of preserving your existing windows, different types of windows over the years, and will go over some techniques on dealing with numerous repair issues. For more information contact Matt Farragher at 409-750-9108 extension 1316 or at matt.farragher@www.galvestonhistory.org.